David Kipen is the founder of Libros Schmibros, a Southern California nonprofit lending library and used bookshop. 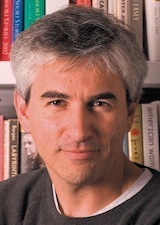 He is a regular correspondent for KPCC-FM, and is the author of The Schreiber Theory: A Radical Rewrite of American Film History (Melville House, 2006). He is the former director of literature grants and the Big Read program at the National Endowment for the Arts. Dehn (pronounced “Dane”) resurrected or reinvented at least three genres given up for dead at the time: the British mystery, the Shakespeare adaptation, and the spy film. He understood a thing or two about espionage, having taught and then practiced it with distinction during World War II. Yet the hundredth anniversary of Dehn’s birth has passed without the merest hiccup of notice.